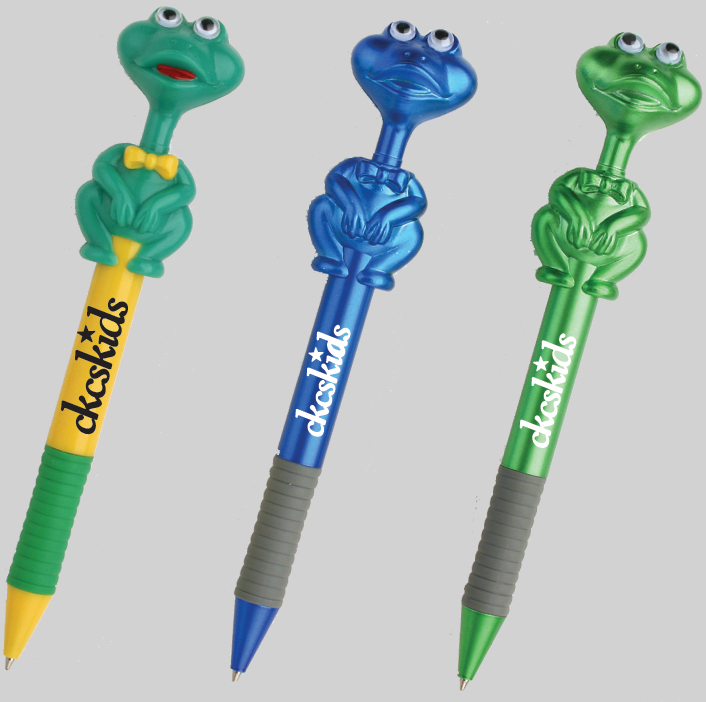 Frog Shaped Ballpoint Pen, With Comfort Grip. . Perfect For Promotions Of Nature, Conservation, Children, And Many Other Events. Colors Available As Shown->Yellow With Green Trim, Metallic Blue. Refills Easily Replaceable. Writes In Black Ink. Length 6.5"
Case Pack=432 Pieces Case Weight=40 lbs Case Size Approximately 26" x 15" x 16"